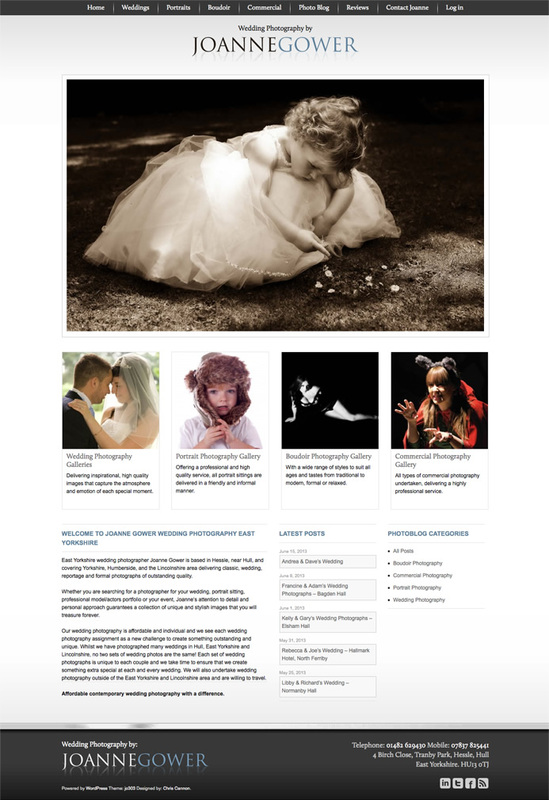 New website for Wedding photographer based in Hull, including blog, photowall, auto update of Facebook and Twitter. This entry was posted in Web development and tagged CMS, Joanne Gower Photography, Website, Wordpress. Bookmark the permalink. Follow any comments here with the RSS feed for this post. Post a comment or leave a trackback: Trackback URL. Really like the photo gallery here.